Carrying on the great traditions of representational oil painting and passing that torch to her students are Lyn’s two great passions in life. She is an award winning plein air and studio oil painter with works that hang in private collections across the United States. After returning from studying art in Melbourne, Australia, Lyn began a 25 year career as an American illustrator and painter, garnering awards from the Oil Painters of America, Fine Art Connoisseur Magazine, Southwest Art, the Society of Illustrators, the Art Directors Club, the Illustrators Workshops, and the American Institute of Graphic Arts. Lyn’s early inspiration came from the great Illustrators of the Golden Age of Illustration and their contemporaries, the American and European painters of the late 1800’s and early 20th century. She was captivated by not only the power of the images but their story-telling ability. 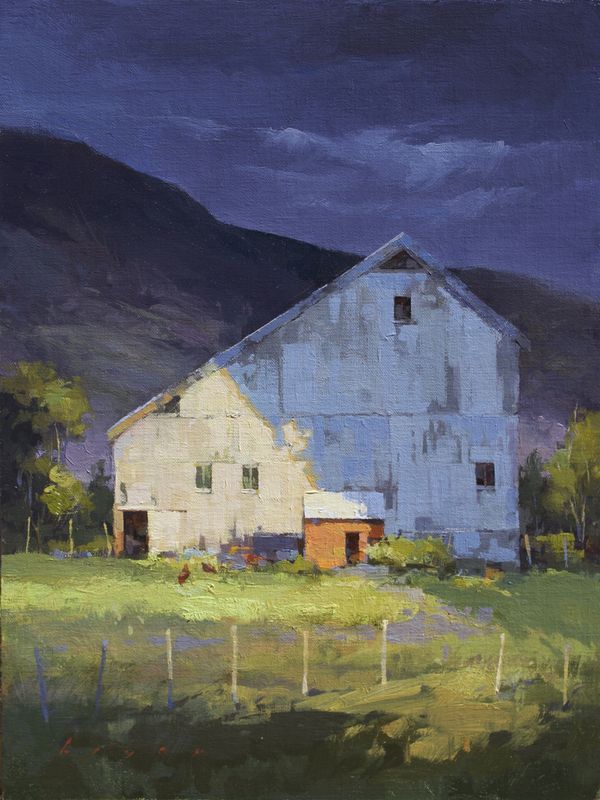 Lyn takes the focus, energy and ability to respond in the moment required of plein air painting and uses it to inform and bring life to her studio work. Lyn’s devotion to painting ‘en plein air’ takes her on the road for more than half the year before returning to her studio in Durango, Colorado for the winter months. Her commitment to teaching began with nearly a decade as an illustration instructor and now continues through her workshops. I paint because it’s necessary. It’s part of my DNA. My North star. The few times I’ve tried to escape it, it’s always chased me down. I feel whole when I paint, directionless when I don’t. I remember every minute of a day spent painting. It tunes the senses and the soul. My inspiration comes always from patterns. They are the first things to draw me to a subject. Divisions of space. Light and dark. The subtle and not so subtle. Whether I’m responding to something from the natural world, the world of man or an interesting intersection of the two I’m compelled by a need to capture the moment. I have an overwhelming need to first understand what’s captivated me, second, interact with it using brushes and paint, and finally share the results – my view of the world. My paintings are always about what compelled me to paint something in the first place. For me a successful painting is the one that is able to elicit that same feeling in concert with a more personal feeling known only to the viewer. I consider that the completion of a painting. Fox in the house…I wish!